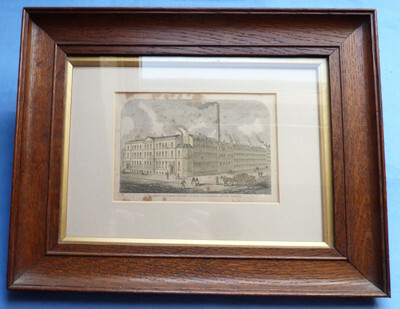 George Wostenholme Factory – 19th Century Framed Print. 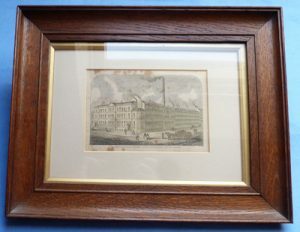 Original 19th Century British coloured print of the George Wostenholm knife works in Sheffield - the company was a famous sword maker who produced knives for both the British and American market. With browning to the print in places - please see the pics. Size of the print is 6.5 inches x 4.5 inches (with the frame - 14.5 inches x 11 inches. Please note that I am willing to send the print with the glass intact but do not take any responsibility for damage - it will be well packed and protected - if you want the glass removed please let me know.